In a year in which big action games like Overwatch and Shadow Warrior 2 will be released, Bethesda’s Doom reboot is still no doubt one of the top games to watch out for. Like its predecessors, the game is set on a Mars station overrun by demons from another dimension, and it’s up to the player character to defeat the army from hell and get out of alive. And even if the Doom series of video games has been going strong since the early 90’s, when id Software’s original Doom games popularized the first-person shooter genre and spanned countless imitators, this new Bethesda Doom game looks like it could be the best in the series to date. 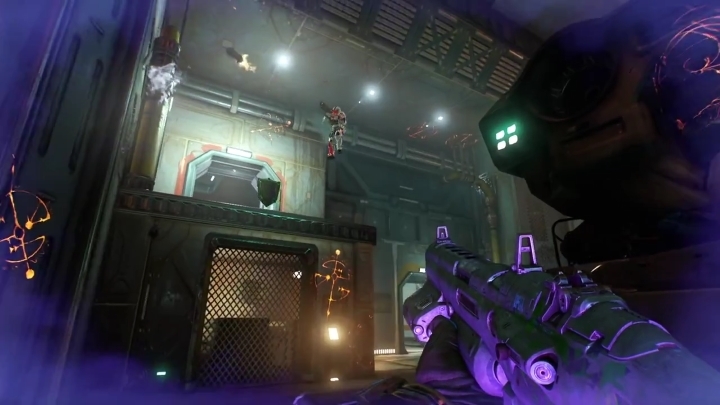 The game feature top-notch graphics as seen in Bethesda’s latest trailer, and its fast-paced multiplayer gameplay allows players to collect special power-ups and turn into demon characters like the classic Hell Baron seen in the original game, plus this new Doom game also brings back classic weapons like the chainsaw and the good old BFG plasma gun. Also, the “power weapons” that appear in Bethesda’s trailer (like the BFG) will also feature in the game’s single player campaign, which is set on a demon-infested Mars and has a length of about 13 hours according to developer id Software. And there’s no doubt that this is one hotly anticipated title that Doom fans everywhere will be looking forward to play, come the game’s release date this May. Next: Mirror’s Edge Catalyst Screenshots Look Beautiful, but Will the Game Succeed This Year? Mirror’s Edge Catalyst Screenshots Look Beautiful, but Will the Game Succeed This Year?